Every year, around this time, I surf through my blog statistics and try to get some idea of how I did over the course of the year. Did I pick up subscribers? what posts got the most views? which received the most comments? The goal of this exercise is to see what’s working and what isn’t. Pretty simple, really. 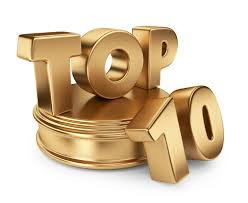 So, without further ado here are the top ten posts of 2013. Number 10. We have seen it a fair bit this year, and lets hope the tide is turning as more and more people get reported but it still never fails to surprise me when an agent uses other agent’s pictures to create fake ads on 3rd party sites like Craigslist or Kijiji. Surprisingly, the public hasn’t heard the old expression….if it is too good to be true, it probably is. We call it Gaming the System. Number 9. I had a lot of fun with this one because it combines two of my favourite things; office meetings and infographics. I asked agents at my office how they went from a phone call at the office to a listing a home. I called it The Ultimate Pricing Guide. Number 8. My friendly neighbourhood Coburg agent Dave Chomitz, who follows me everywhere (or is it I that follows him) gave me the idea for this post. He had an idea…and doesn’t it all just start with an idea, on how to build his own real estate market. Check out his success and then come up with your own Niche Marketing Ideas. Number 7. Surprisingly 3 of my top 10 of 2013 were actually written and published in 2012. Talk about longevity. But when the content is still relevent, that can happen. In this case I wrote about a seller who wanted to sign back for more than the asking price. What should stand out in any agent’s mind is that if you list a home low in order to get multiple offers, you need to explain to sellers what could happen if the plan doesn’t work. Number 5. Another hit from 2012. I did a bunch of research on this one and then, while attending NAR in Orlando I learned a fundamental thing about open houses. After 20+ years in the business it never occurred to me that people who went into your open house weren’t there to look at the house. They were there to check you out. I guess it is true…Open houses aren’t for suckers. Number 4. How many times have you heard Sellers say ‘boy, I should have taken that first offer’? Probably never because that would be like admitting defeat. Still it was fun to write about The First Offer is the Best Offer. Number 2. The last man standing of 2011. The anatomy of a Canadian Realtor. Funny how two of the top ten posts are infographics. And finally, drum roll please, the Number 1 blog post of 2013 remains my post on agent statistics that I did in 2012. Probably due for an update soon but I suspect the ratios will remain pretty consistent. It seems that agents want to know how they stack up to the other 38,000 agents in their market. Well thanks everyone for a fun year. Look forward to another year of fun and discussion.